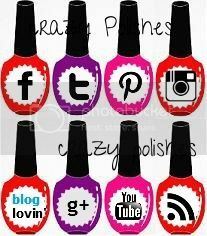 Crazy Polishes - nail arts, swatches, reviews Crazy Polishes: Watermarble with OPI Color Paints!! I am very excited to share today's manicure. 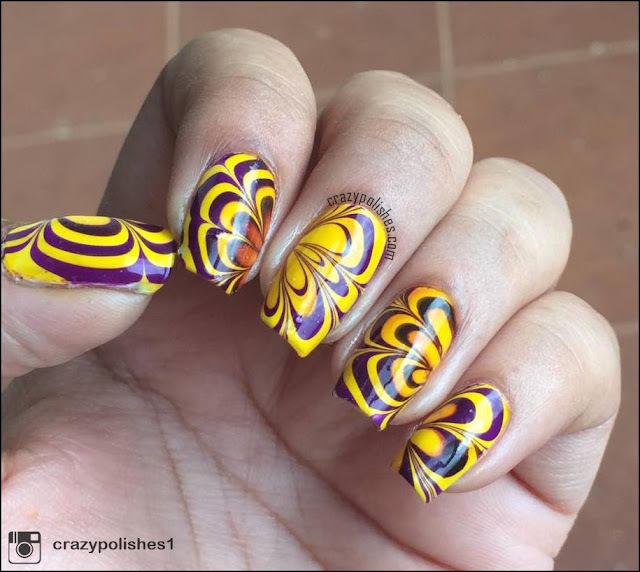 I am a big fan of watermarbling technique. It is little bit tricky but if you figure out what polishes and what kinda water works out for you than it is so much fun to do. 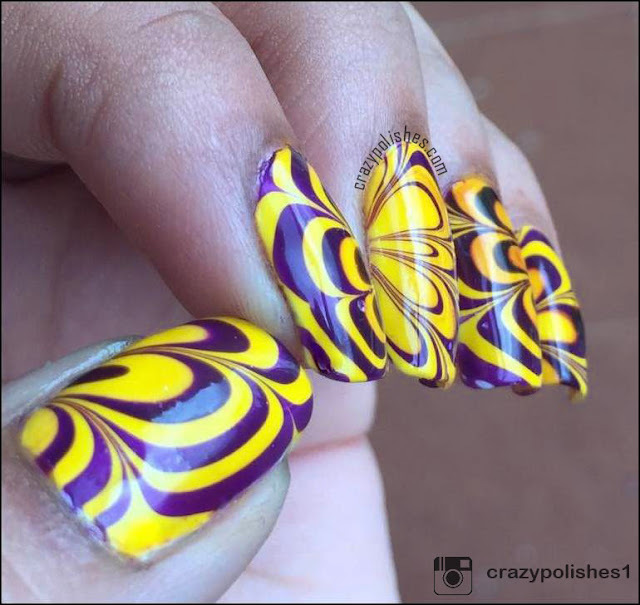 I have done watermarble many times but i never tried it in hot and humid weather of India. I dont have my lighting setup with me currently so all these pictures are taken with my iphone in natural light. I am not very impressed with this combination but i have to wait till i unpack boxes. 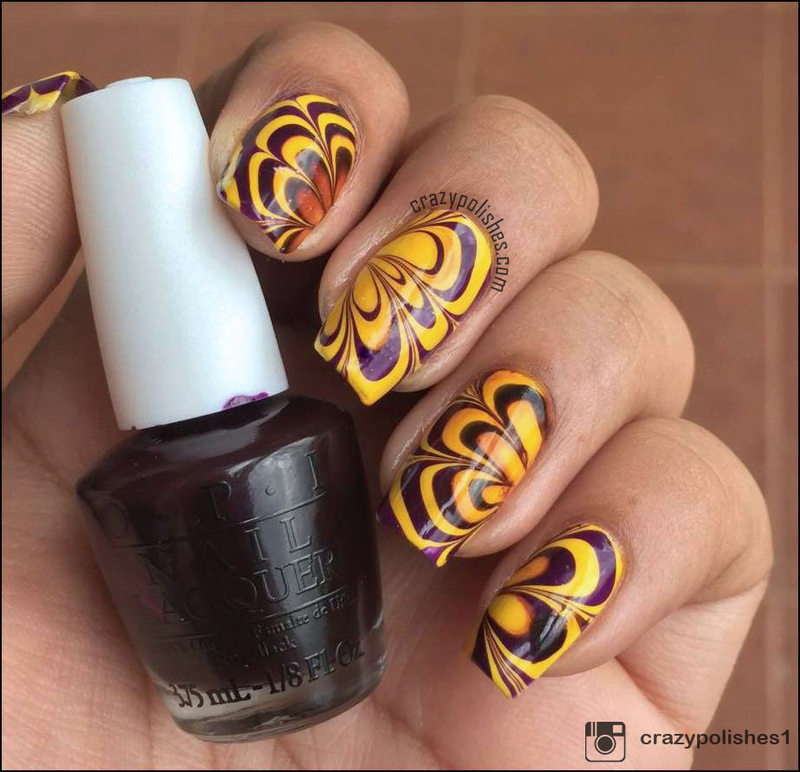 For this watermarble i used Primarily Yellow and Purple Perspective from OPI colorpaints collection. Base is my favourite white, opi my boyfriend scales walls. Topped it up with sally hansen diamond shine top coat. I am very happy that how this watermarble turned, though the design is pretty basic and i am looking forward to try more complex designs now.